During the second half of the nineteenth century in what was then Ceylon, today known to all as the nation of Sri Lanka, a deadly fungus killed off all the coffee plantations on the island thus causing a serious economic crisis. The Scot James Taylor, and later many other entrepreneurs, set about substituting coffee plantations for tea plantations and hence creating what many connoisseurs today consider to be the best tea in the world. 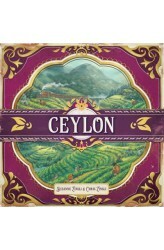 In Ceylon, players take on the role of the pioneers who developed the Ceylon tea industry. As such, they build plantations in different districts and at different altitudes. They produce tea and try to sell it to the most important export companies. To favor this task, they must win the favor of the counselors of each district and develop the nec..
Cupcakes are at the height of fashion in the city. It's the perfect time to expand your business. Even though at the moment you only have one small Bakery, the dedication and the level of creativity of your employees means that there are no limits to your ambition.Your task will be no piece of cake since your competitors share your same goals and they are not going to make it easy for you. Only those who work the most efficiently and effectively will manage to build their own cupcake empire. 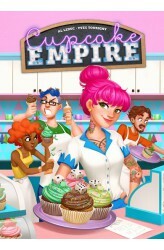 Cupcake Empire is mainly a dice game. Your personal board represents your business and the dice your workers. In each of the columns of the board you can carry out one specific action; create new recipes for cupcakes, open new stores, serve customers, hire new workers, etc. On each turn you..